I stopped into Lil’s Hobby Shop the other day, looking for a 1/72 scale modern French tank but failed on that. Of course, if you can’t see what you want, then it is very easy to get distracted. Ships, I thought. I have not built a ship in ages. 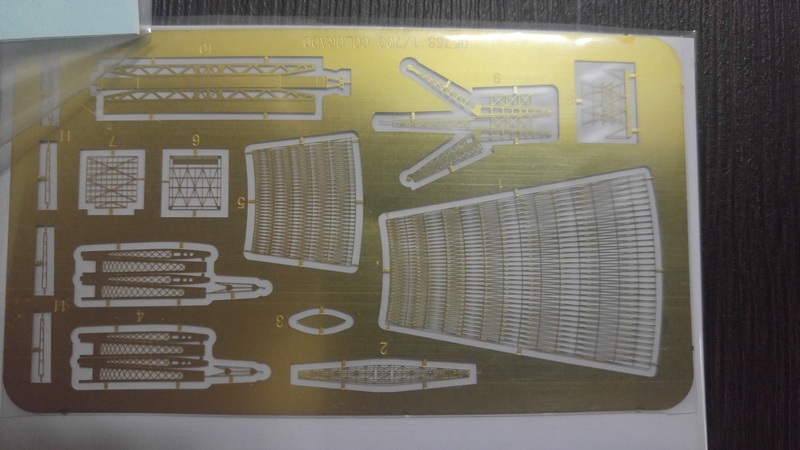 I noticed that the 1/700 scale Trumpeter kits came with a full hull or a waterline as an alternative. Actually, purchased two. 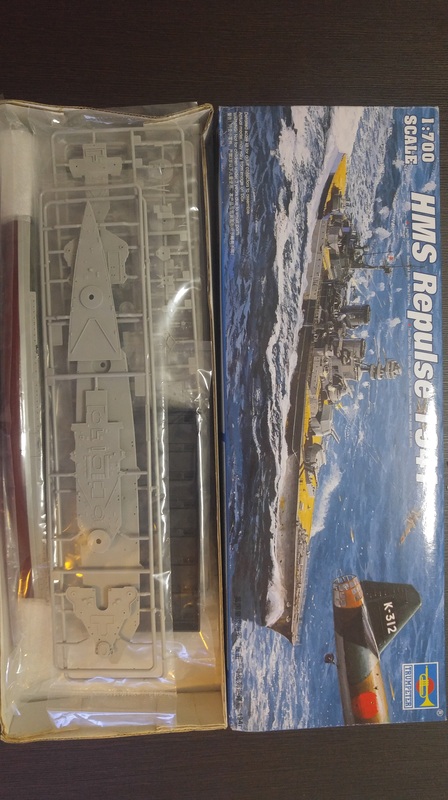 The USS Tennessee and HMS Repulse. The Tennessee is modelled when she had the lattice masts, hence the etched brass bits to the left. The kits also have quite a bit of detail. 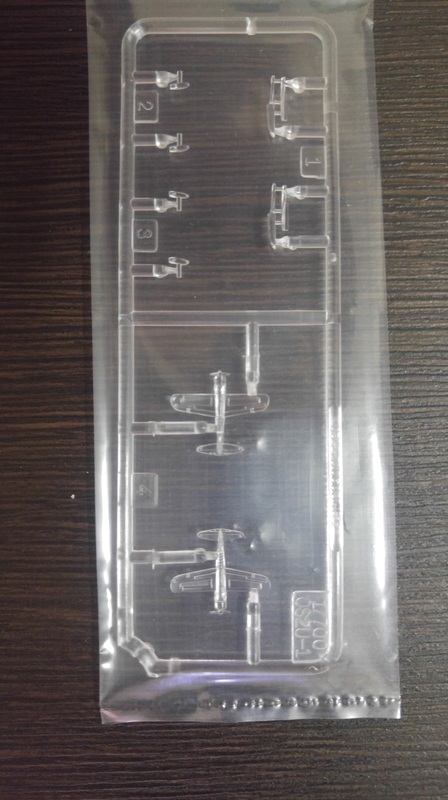 The aircraft, for example, are moulded in clear plastic. Painting carefully will leave a clear canopy. The aircraft, however, are also moulded with propellers. Perhaps I should grab a destroyer to built frst to practice ship building skills. Nah! Just go for it! 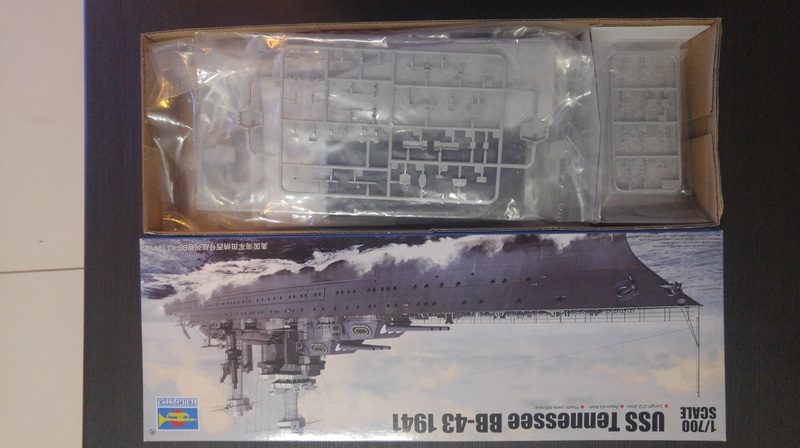 The HMS Repulse kit is below. Ah, the good old days of trying to get Airfix 1/600 warship hulls to line up.. lots of cursing, homemade cardboard jigs and elastic bands.. and the detail was woeful. Those Airfix 1/600 warship kits almost turned me off modelling altogether. I can recall reading articles at the time of the temperature to set the oven to at home to soften the plastic enough to bring it back to shape. My only attempt was fail with a melted hull and an annoyed parent!